Google has outlined changes to its handling of sexual misconduct complaints, hoping to calm outrage that triggered a worldwide walkout of workers last week. Arbitration of harassment claims will be optional instead of obligatory, according to Mr Pichai, a move that could end anonymous settlements that fail to identify those accused of harassment. 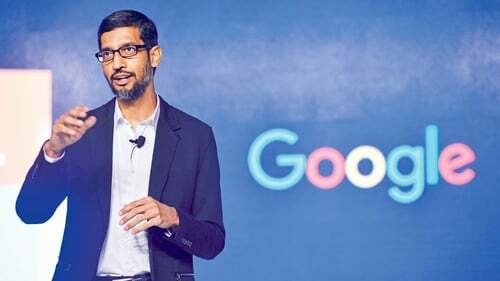 Mr Pichai promised that Google will be more transparent with how concerns are handled, and provide better support and care to those who raise such issues with the company. Google will provide "more granularity" regarding sexual harassment investigations and their outcomes, according to Mr Pichai. A section of an internal "Investigations Report" will focus on sexual harassment to show numbers of substantiated concerns, as well as trends and disciplinary actions, according to the California-based company. Google will update its mandatory sexual harassment training and require it annually instead of every two years as had been the case. Google is also putting the onus on team leaders to tighten the tap on alcohol at company events, on or off campus, to curtail the potential for drunken misbehaviour. "Harassment is never acceptable and alcohol is never an excuse," Google said in a statement. Google policy already bans excessive consumption of alcohol on the job, while on company business, or at work-related events. The company also promised to "recommit" to improving workplace diversity through hiring, retention, and career advancement. Some 20,000 Google employees and contractors participated in the protest in 50 cities around the world. including Ireland, according to organisers. "We have an aspiration to be the best company in the world," Mr Rodriguez said. The protest took shape after Google said it had fired 48 employees in the past two years, including 13 senior executives, as a result of allegations of sexual misconduct.